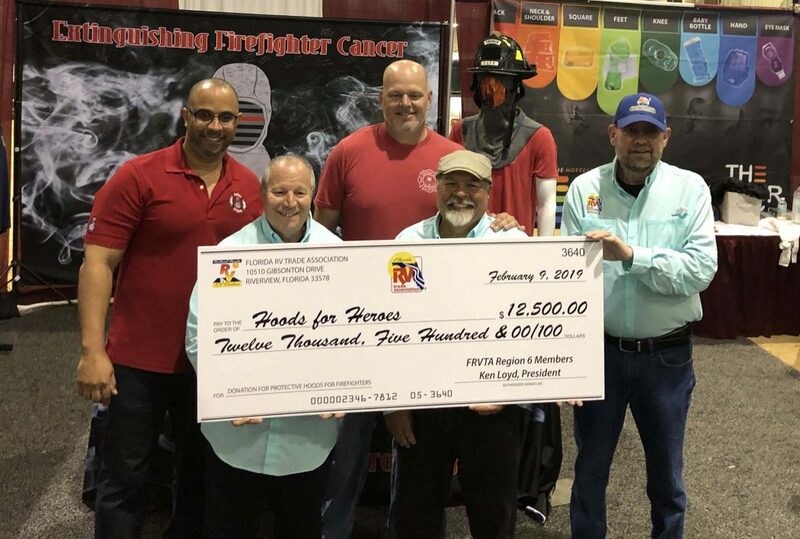 The Florida RV Trade Association presents Hoods for Heroes with a special check during its annual RV Mega Show on Feb. 9, at the Jacksonville Equestrian Center. 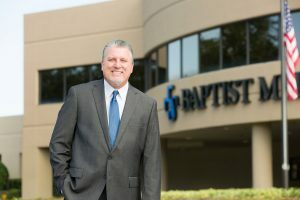 FRVTA donated a portion of its revenues from the event, along with a donation from the members of the FRVTA Region 6/NE Florida RV Dealers, Campgrounds, & Suppliers. Hoods For Heroes (HFH) is expanding its community outreach by partnering with the Middleburg High School HOSA – Future Health Professionals. HOSA is a group of over 200,000 students nationwide with the mission to empower high school students to become leaders in the global health community through education, collaboration and experience. These students will help HFH build the Adopt-a-Firefighter program locally and throughout Florida. On Jan. 24, several students from Middleburg High School talked with thousands of firefighters at one of the largest firefighters shows on the East Coast, Fire Rescue East, which was held in Daytona. Representatives from Hoods for Heroes also discussed its program that provides grants for free chemical blocking hoods to fire departments that need them. This is a pilot project that will expand to the other HOSA programs throughout Florida. Students Cyleigh Ellison and Taylor Dyal helped Hoods For Heroes recognize Florida firefighters at the Fire Rescue East conference in Daytona on Jan. 24. 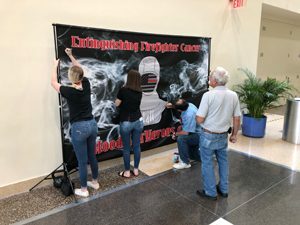 The students helped raise awareness of firefighter cancer and recruited firefighters from throughout the state to sign the banner that honored fallen firefighters during the event. Cancer in fire service is at epidemic levels. A firefighter’s risk for specific types of cancer is significantly higher than the general population, with a nine percent higher risk of being diagnosed with cancer and a 14 percent higher risk of dying from cancer. 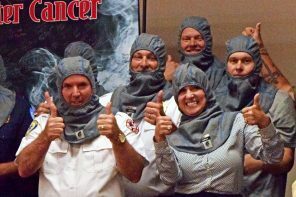 The National Institute of Science and Health (NIOSH) reports that firefighters are 2.02 times higher risk for testicular cancer and 1.53 times at greater risk for multiple myeloma. 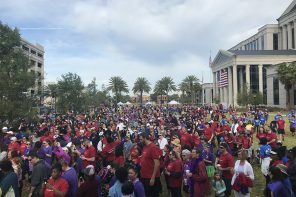 As many as one in three firefighters will be diagnosed with cancer during their careers with current statistics indicating more than 60 percent of line of duty deaths are due to cancer. This collaboration will bring awareness and support to those who risk their lives daily to protect others.